Traffic – Strike one. Crowded parking lots – Strike two. No time to relax – Strike three. Driving is OUT! Take the Amtrak Pacific Surfliner to Southern California’s baseball stadiums instead. Join us for an easy and comfortable ride with stunning scenery, onboard amenities and other perks on your way to and from the game. The state-of-the-art transportation center in Anaheim is a short walk from the stadium, located at the far edge of the parking lot. Late-night service makes the Pacific Surfliner a great option for any game time in Anaheim, including weekends! Upon arriving at beautiful Union Station, connect to the Dodger Stadium Express for free with your game ticket. Buses depart every 10 minutes. The train is a great option for earlier games or an overnight trip in the big city. Downtown San Diego is the southernmost point on the Pacific Surfliner route. The stadium is a few trolley stops away or an easy 25-minute walk. The ocean views on this segment of the route are amazing. The last northbound train leaves at 8:59 p.m., making this a good option for earlier games or an overnight trip. The train is more than just a way to get to the game. With daily service between San Diego and San Luis Obispo, the Amtrak Pacific Surfliner can whisk you away for a fun day trip or weekend getaway. The big city, a beautiful beach town, somewhere completely new – most of the popular destinations are in reach. To travel even further, connect to one of Amtrak’s long-distance trains in Los Angeles. The Bay Area, Portland, Seattle, San Antonio, Chicago and hundreds of other cities are served by the train. 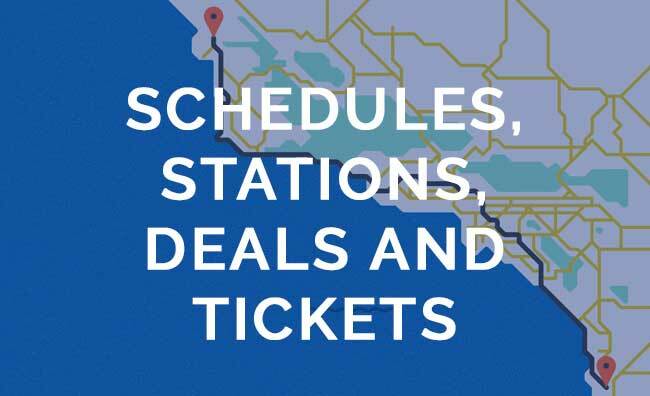 Find the station that is closest to you, browse available discounts and start planning a trip on PacificSurfliner.com. Will this train be running to Dodger Stadium for the The Classic West on July 15 and 16 to Dodger Stadium? Hi Barry, you can get there on the train. What area would you be traveling from? We have 24 daily trains between Los Angeles and San Diego, so the service is fairly frequent. Our schedules would work well for one of the afternoon concerts, but not the one that starts at 8 p.m. Ride the Pacific Surfliner to LA Union Station, and then board Metro Rapid Service Bus Route 704 to get to Dodger Stadium. The bus makes only a few stops along the way (it takes approximately 10 minutes) and it drops you off within a 5 minute walk to Stadium Way. Please let us know if you have any other questions! Hi Ed, the Pacific Surfliner does not wait until the game ends – it operates on its set schedule. Where would you be traveling from? Hi Bridget, you can catch the Pacific Surfliner in Orange County and ride to Old Town San Diego. From there, you can catch a bus (MTS Route 9) for a 20-minute ride to Sea World. Please visit http://pacificsurfliner.com/#tickets to explore trip options.